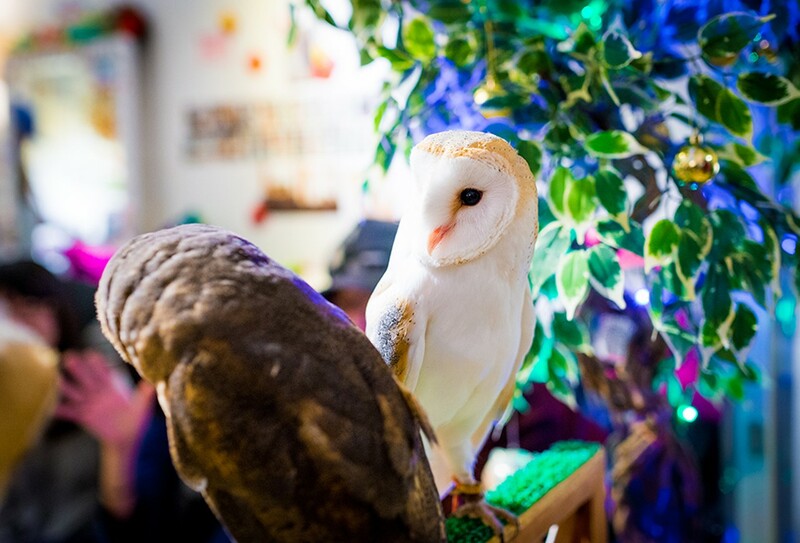 Customers pay Fukuro no Mise a $19.50 cover charge for a drink and an hour with its numerous owls. The café doesn’t have food so you don’t have to worry about the birds pecking at your dish. You can have the owl climb up on your shoulder or head – or just slowly pet it as you sip your coffee. The place gets packed quickly and reservations are required in advance.